The downside? Not a lot of additional features. The upside? Not a lot of additional features. 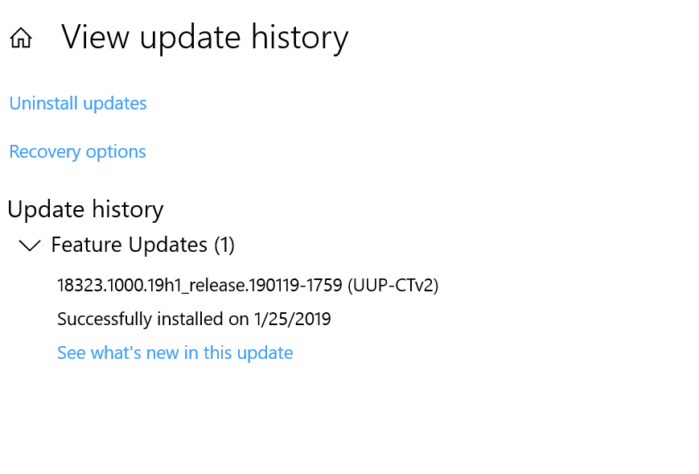 Windows 10’s next update will apparently be named the Windows 10 April 2019 Update, continuing Microsoft’s trend of handing out pedestrian names to what have recently been equally pedestrian releases. That may sound like a criticism, but it’s not. There’s an argument to be made that Microsoft was overdue for a period of bug fixing and polishing after the fiasco known as the October 2018 Update, which suffered a false start and hasty pullback after reports of data deletion, later confirmed. The most recent builds of the Windows 10 April 2019 Update—a name unearthed by Twitter user Tero Alhonen, within Windows—simply aren’t oriented around new features. In fact, only two stand out: Windows Sandbox, a virtual environment within Windows 10 to run untrusted apps; and support for kaomoji, the combination of characters to create faces and icons like ᶘ ᵒᴥᵒᶅ. 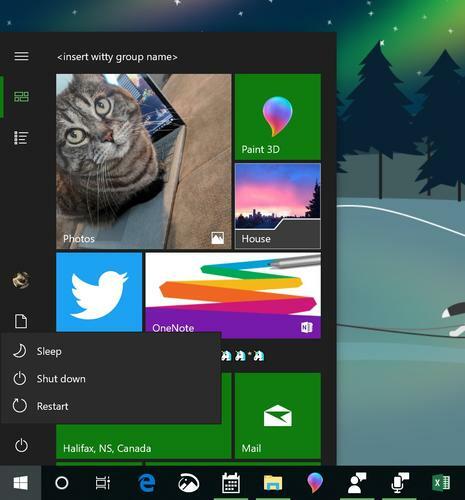 Additional “features,” like a new light theme, play into Microsoft’s new emphasis on polish and tweaks, trying to make the existing Windows friendier and more accessible, rather than bloating it with new apps and additional capabilities. Kaomoji will be a fun addition to Windows 10. Both approaches have their merits. While there’s something to be said for underappreciated Windows gems like Paint 3D and even Mixed Reality Portal, their appeal died due to under-promotion, a lack of interest in virtual reality, and simple consumer apathy. Now both apps can be uninstalled, right from the Start menu. Instead, what was once called the “19H1” release focuses more on simplifying the process, from eliminating the need for passwords while setting up a new PC (use your phone instead!) to a visual cue on your taskbar that an update is nigh, and one that will require you to reboot your PC. Neither addition is necessarily worth telling your friends about, though it’s one of those conveniences that Microsoft hopes you’ll grok and incorporate into your daily workflow. Note the “release” label in the most recent Windows 10 build. Despite Microsoft’s recent history of barely making or even missing release dates, however, it’s actually likely that the April 2019 Update will be released much earlier in the month. The clue lies in how Insider Build 18323, released Thursday evening, is defined as the release branch of Windows 10—a near-final, bug-bashing development stage. If it had been designated a prerelease build, that would indicate the OS was still in an earlier stage, where Microsoft floats new features for insider feedback before putting more work into them. What this means to you: Microsoft once rolled out new Windows 10 feature releases with splashy press conferences and lengthy sessions at its Build developer conference. Those days appear to be over, at least for this release of Windows 10. At some point, however, Microsoft is expected to share its vision of Windows Core OS, the “next” version of Windows. At that point, expect trumpets once again.